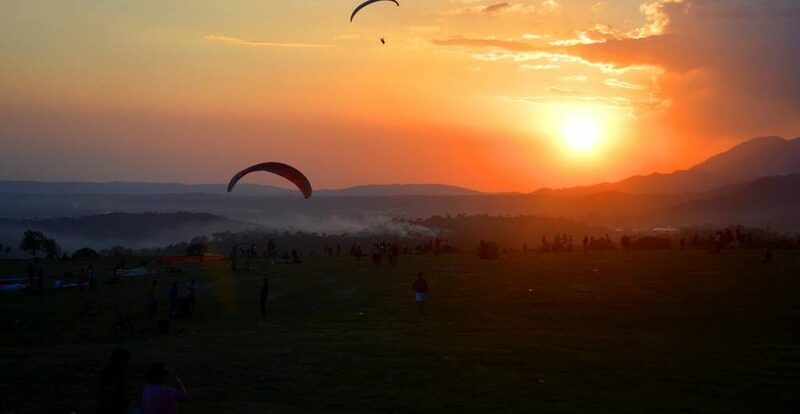 Bir Billing packages cost for Paragliding, Trekking, camping and paragliding. Bir Billing is located in Kangra distt of Himachal Pardesh, Bir Billing is also adjoining with Mandi distt of Himachal Pardesh. Bir Billing is some where 70 km from Dharamshala or Macleodganj and 70 km from Mandi, so tourist travelling to Manali can travel extra 70 km from Mandi to reach Bir Billing from there, its takes 2-3 hrs from Mandi to Bir Billing. Bir Billing is located at 550 km from Delhi and Bir is connected with dirrect volvo buses from Delhi. Bir Billing is known for its Paragliding activity, Paragliding is activity where you can fly with trained person by using para-glider which help on uplifting in air. Paragliding here at Bir Billing is safe and best experience for our team. Travel to Bir Billing is best experience for adventure. October and November – Best time in year to do paragliding for solo and tandem paragliding session. December – December is cold but good till 1st snowfall in region, corresponded to carry warm cloths with you if you are staying at Bir and for paragliding, please carry jacket, gloves, Cap, proper thick warm pant and proper laced shoes. January and February – both these months January and February are cold and paragliding may close for 2-3 dates in Jan when it snowing here and open again immediately. Views are amazing and all mountain around and Billing is full of snow and best time if you want to see snow at Bir Billing. March and April – Best time as per climatic condition and natural beauty of the valley, Valley is full of Rhododendron tress and these trees and flowering from Feb to May, so the Bir Billing valley is complete red in this month of year. Weather id not much cold, need to carry jacket during that time to protect you from cold wind in morning and evening. May June – pleasant weather here in Bir Billing. Best time for camping at Camp Oak View, but do carry least a jacket with you as mountain weather changes rapidly here. Bir Billing is very busy for tourist point of View. Some time strong winds here and paragliding stops if wind is strong. Paragliding is open till last week of June anytime as per monsoon arrives. 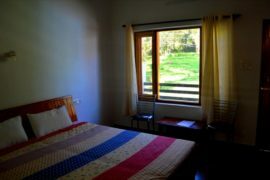 But normally it closes in last week of June at Bir Billing Himachal Pradesh. July, August and September – Paragliding is closed due to monsoon, Paragliding is closed officially and criminal offence if any one fly during that time, Paragliding closed in these months even weather is clear sand sunny. These are months when Camping is also not suggested to do as forest here around is full of leaches and treks are not doable, and leaches are in large number, if you enter forest, definitely caught 5-15 leaches in 5-10 mins. so precationaly its not suggested to do trekking during that time in Bir. One can trek from Billing to Raj gundha in that time as that area is Leach free through out the year.